Watch the latest OWOE vignettes! OWOE Vignette A1 - Why is energy important? Welcome to Our World of Energy! Our World of Energy (OWOE) is a multi-media campaign that has been created to provide an unbiased view of energy, including pros and cons of each source, to the American public. It is OWOE's intent to help inform the public on where the energy that drives modern life comes from, why this subject is important, and how technology is changing the industry to address modern problems such as climate change, scarcity of resources, and environmental impact. Version 3.2 now available! Latest update lets you estimate the Levelized Cost of Electricity (LCoE) and other financial parameters for your wind farm! These people, products and companies are at the forefront of energy innovation! 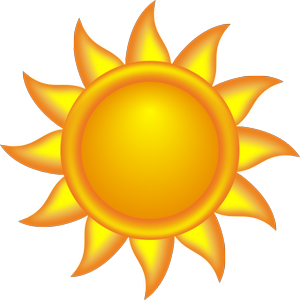 Looking for great resources and classroom content to teach about energy? Take in the latest content from Our World of Energy! Guest blog by S. A. Shelley In the first blog of this series, I summarized the huge energy resources of Canada. In the second blog, I showed how most of those resources have been or are being squandered and how governments with good intentions, at times more often than naught, deliver bad outcomes. While statistically bad outcomes can be unintentional, in Canada a lot of bad outcomes are actually the deterministic result of government strategy. Coupled with the breakdown of the rule of law at the highest levels, Canada is in bad shape. That unfortunately is the very big ugly in Canada. Other factors resulting in Canada’s bad energy situation are the focused actions by small groups of well-funded opponents and the apathy by the populace who have been habituated to the sweet lucre of government largesse. Canadians are generally kind and polite people, but at the governing level, the plotting and duplicities surpass a Shakespearean tragedy. The Russians probably learn by watching what happens in Ottawa. The biggest warning that I have is that the path that Canada is on will more likely lead to Canada becoming the next Venezuela – corrupt, ineffective and when in trouble, doubling down on failed collectivist ideas, instead of returning to integrity, order and prosperity. Much like Maslow’s hierarchy of needs for individuals, nations also have a hierarchy of needs in order to survive and thrive. For individuals it begins with basic needs, then psychological needs and finally the self-fulfillment needs. A nation’s needs are similar: a nation needs food, water, energy, then trading partners, and finally self-fulfillment, which often happens on Olympic podiums or in cultural accolades. In Canada, the national needs have been simplified to Peace, Order and Good Government. Canada has peaceful access to all the energy that it needs, but Canada lacks order and good government to harvest that energy and thus is putting itself into a precarious and untenable situation in the long run. Without ample energy supplies, logistics breaks down, farming founders and economic output plummets. A digital economy still needs food, transport and energy to thrive. In the first blog of this series, Fig. 7 indicated that the largest growth in foreign investment in Canada is in Finance and Insurance. If we think about output, finance and insurance shift electrons from place to place to chase probabilities of events occurring or not occurring. Guess correctly and win big. Guess incorrectly too often, then a financial crisis results and everybody loses (except the investment bankers). Only a few nations can comfortably tie their continued prosperity to finance, and even then usually for only a small percentage of their populace. By contrast, a thousand standard cubic feet of natural gas is just that. An option on the TSE VIX can be something or nothing. There needs to be a balance to ensure long term economic viability. 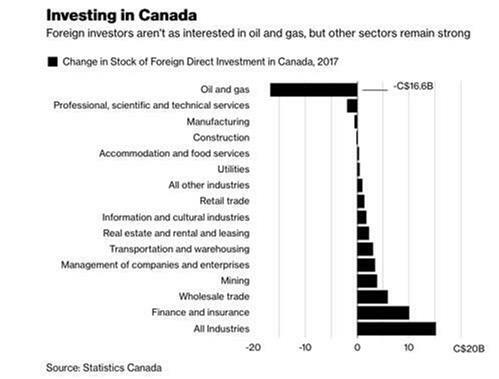 Unfortunately, Canada has allowed a large part of its economic engine, its energy industry, to collapse and, while heralding new technologies, is really just chasing the herd in many areas with too few dollars, and again without a clear, widely accepted vision and coordinated goals. Economic imbalance and inequality is growing in Canada and it bodes not well. For the most part, the rule of law still applies to ordinary citizens, but when it comes to elite interests, it is now very clear that the governing Liberal Party of Canada will write new laws and regulations quickly, overlook others or apply them in excruciatingly abusive detail according to selfish political will. By now, I hope that most readers are aware of the corruption scandal in Canada regarding SNC-Lavalin and the Prime Minister, principal cabinet members and the highest levels of the civil service. If you are not aware of cause of the scandal, the short story is something like this: SNC-Lavalin, a politically very well connected engineering firm from Montreal, has been caught bribing foreign regimes and domestic governments for work (see also theSpec.com). It has been so bad that the World Bank, along with several other international agencies, banned SNC-Lavalin and its subsidiaries from bidding on work, and the OECD even issued a warning to Canada about how the government is handling the affair. A good summary of SNC-Lavalin’s achievements can be found in this Financial Post article. The problem is that as SNC-Lavalin was being called to account for its wrong doings, it was lobbying the federal government to ensure that SNC-Lavalin would only get a slap on the wrist, more or less. Consequently, the current government of Canada acted inappropriately, drafted new laws to protect SNC-Lavalin and overlooked egregious misconduct, all with the stated best of intention of protecting 9,000 jobs (see OttawaCitizen.com and PierreEmp.ca). On the other hand, in 2016 alone, the Canadian oil and gas business shed 40,000 jobs, and the Prime Minster and his party weren’t concerned one bit. Corruption among friends is to be fixed by all means necessary while prosperity among adversaries is to be hammered into oblivion. This method of governance, while common in despotic regimes, is now also the norm in Ottawa. Ottawa just doesn’t yet shoot people, though character assassination is encouraged (see WinnipegSun.com and TheGlobeandMail.com). Now it gets convoluted. While this SNC-Lavalin affair was happening, Canada, at the request of the United States, arrested a Huawei executive. China, of course, was upset. The Prime Minister of Canada stated emphatically on January 23, 2019 that Canada is a country of the rule of law and that the Canadian justice system is impartial and independent. However, the actions of the Right Honorable Prime Minister, with respect to the SNC-Lavalin scandal, demonstrated otherwise. I agree with China that Canada is no longer a nation of an independent and impartial justice system. This loss of judicial independence and impartiality also applies to regulations for energy projects. If Canada is no longer a nation of rules and laws, in which a company that followed precisely all published regulatory procedures yet still has a project stopped, then why would anyone invest in or buy energy from Canada? In early 2018, the Federal Government of Canada issued an Advanced Contract Award Notice (ACAN, NRCan-5000036064) for between $275,000 to $280,000 to Wood Mackenzie to study and report on the Competitiveness of Canada’s Upstream Oil and Gas Industry. Subsequently, upon some firms challenging that ACAN, the government initiated a tender process on May 14 for the same study, but at the much reduced amount of $88,490. Some firms then declined to bid and eventually Wood Mackenzie was awarded the contract for $88,490. In the United States, such procurement changes are illegal; in the European Union, the same. But in Canada, by the whim of the governing party, changes like this are acceptable. The good news though is that the companies that challenged the ACAN, while not winning, did manage to save the Canadian taxpayers about $200,000, or, at least until the follow on study. Most egregious is that the governing party has adopted a platform that aims to thwart Canadian oil and gas production. Paramount to this effort is Bill C69 (see FinancialPost.com and WilsonCenter.org). While Canada stumbles, in the United States construction has already commenced on three pipelines that by 2020 will bring an additional 2.4 million barrels per day of oil to deepwater ports with access to global markets. All this achieved in a shorter time frame than Canada’s regulatory review cycle for just one pipeline. As noted in previous blogs about oil supply and demand, world oil demand is not going to zero anytime soon. But the Prime Minister of Canada and his Party, by adapting a zero oil policy, have conceded oil markets and revenues to regimes such as Venezuela, Saudi Arabia and Russia. Would it not be better for the world if Canada, with its heretofore independent judiciary, thorough environmental protections and (formerly) transparent markets, is a major producer? When disaster or economic collapse hits an area, Canada sends aid, Russia sends troops. Who should get the money for oil, Saudi Arabia, Venezuela, Russia or Canada? Or rather, the fix is in against affordable, inexpensive hydropower. Graft is costing individual Canadians hundreds or thousands of dollars every year. In B.C. this is especially true with hydropower. Due to explicit Liberal Government policies and actions, from 2007 onwards, B.C. Hydro was mandated to buy expensive green power, such as run of the river hydro, from independent power producers (IPPs). Many of those IPPs were donors to the ruling Liberal party and by some manner managed to get above-market prices for long term supply contracts that B.C. hydro was legislated to buy. Just this one incident of graft gone wild costs B.C. residents at least $200 more per year for hydro power. Every year, $200 here, $108 there adds up quickly to a princely sum over the long term for the average Canadian family. When it comes to project cost overruns, it has been calculated that graft and corruption in Canada increases project costs up to 10%. Think about it. For the Site C hydropower dam in B.C., projected to cost about $10.7 billion, it is quite possible that $1 billion of that cost is due to graft and corruption. That’s another $200 that every resident of B.C. will have to pay for just this one project. Similar shenanigans ensued at the Muskrat Falls hydropower project in Newfoundland. In Newfoundland, Bill C61 makes it illegal to develop wind energy, ocean tidal energy, etc. In the first blog, I noted that Canada still imports oil from Saudi Arabia. Canada could not get the Energy East pipeline built which would have brought oil from Western Canada to Eastern Canada, and therefore Canada still imports oil form Saudi Arabia (and doctors too (see theGlobeandMail.com and OttawaCitizen.com). The premier of Quebec was somewhat gleeful about this, saying that, “There is no social acceptability for oil in Quebec”. But apparently it is still socially acceptable to import oil from an autocratic state like Saudi Arabia? Yet, over 60% of Quebec residents think that it would be better to have oil from Alberta than from Saudi Arabia. What the federal Canadian government proclaims in one press release, it readily ignores when inconvenient. To wit, the Canadian government designated an Ocean Technologies Supercluster for the Atlantic Provinces in part because of the expertise in ocean technology and shipping located there. However, the Canadian government then deliberately decided to ignore those same Atlantic Provinces when it sought input to evaluating the safety of ocean going oil tankers. Looking west at British Columbia (B.C. ), the situation is just as bad, with a Premier who fights for his own pipeline, but is against anyone else’s pipeline. Here again, most residents in B.C. are in opposition to the elected officials and in favour of all pipelines. The other irony is that B.C. has the largest coal export terminal in North America and is happily exporting millions of tonnes of greenhouse gas (GHG) emitting pollutants to overseas power plant. Wsorse yet, while B.C. fears the environmental dangers of expanded oil exports, B.C. coal producers have for decades been quietly poisoning waters that flow into U.S. watersheds (see ElkValleyCoal.com and DesmogBlog.com). The hypocrisy in B.C. deserves international recognition. When it comes to Political and economic icons, the Prime Minister of Canada is forthright about his admiration for the basic dictatorship in China. When it comes to interacting with the rich and powerful, the Prime Minister is secretive and cavalier about ethical boundaries (see bbc.com and cbc.ca). When the Prime Minister espouses that he, and only he, has a climate action plan for Canada which includes carbon taxes for the masses, yet he is self-entitled to fly frivolously on a private jet, one of the most intensive carbon emitting ways to travel, one can see the differences between the privileged ice-wine life of the ruling elites, the old boys club, versus the Habitant Pea soup of the governed masses. 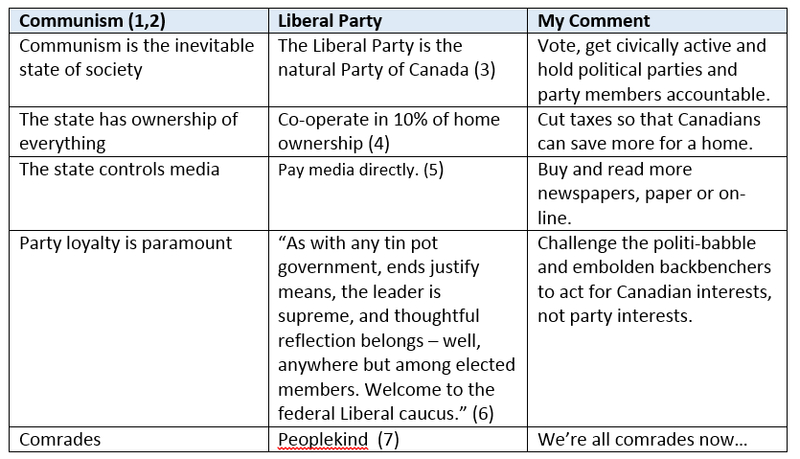 Let’s also compare the thinking and actions of the federal governing party in Canada – see Table 1. Prosecuting a career naval officer for, of all things, delivering a much needed auxiliary warship on time and on budget (see theChronicleHerald.ca). Tax haven status (see theStar.com). The true north is strong and free in the wrong areas. Affordable and reliable energy is necessary for a modern, comfortable and well-functioning society. Energy jobs are also well paying and support a comfortable middle class life for a lot of people. Energy investments and a careful transition to clean and renewable energy can be achieved in a fiscally viable and coordinated manner that will benefit most Canadians and the world in general. I’m all for clean energy, but I’m definitely for doing it without graft or corruption and in open markets in order to get the lowest cost energy for all Canadians. If Canadians want Canada to function better you must not be afraid to look at and compare across nations and figure out why things work better here or there. Canada has a lot of natural energy wealth, both conventional and renewable. But too much energy wealth has already been squandered by governments, while hydrocarbon energy is now being deliberately killed by governments. What Canada has now in terms of energy policy and goals is stressing families, bankrupting corporations and strangling revenue to governments. In America, nobody trusts the government; in Canada everybody trusts the government too much. When Canadian governments announce new energy policies, Canadians really need to ask, “How much will this cost, how will I benefit and who is getting rich off me and why?” Canadians need to think about the future, about their children and grandchildren, and then Canadians need to work towards common objectives and get Mad like Max in order to ensure energy security and financial prosperity. The great bogeyman in the world is not America, it is places like Venezuela. Plan your path wisely Canada. P.S. I will gladly debate any Canadian government or political leader about energy policy and technology at any time, in any town hall, in any caucus meeting, in front of anyone, young and old, near and far, rich or poor, CBC or CTV. Name the time and the place and I’ll be there because I am not afraid to speak truth to power and incompetence. Guest blog by Mr. R. U. Cirius: Here are some interesting and somewhat offbeat energy stories that haven’t gotten much media attention during the first three months of the year. This year California has experienced what many are calling a “superbloom” of wildflowers that hasn’t been seen in decades (Fig. 1). 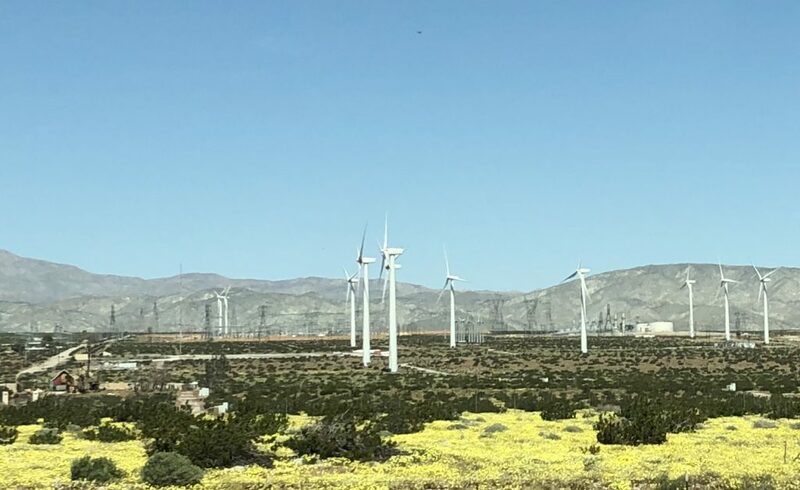 While most attribute this to heavy winter rainfall following several years of drought, Dr. Marko Ramius from the National Wind Energy Laboratory (NWEL) has identified another contributor to the phenomenon – California’s ubiquitous wind turbines. Dr. Ramius has released his surprising findings that show the role of what he calls the “turbulence boundary interface”. This is the boundary of the turbulent mass of air downstream of the turbine’s rotor that generally hovers just off the ground. He has found that this boundary traps moisture close to the earth, which then enhances and prolongs the period of flower bloom. He is currently in discussion with major turbine manufacturers to incorporate blade tip misters into their designs that could provide moisture during drought periods and hopefully make such superblooms a more common occurrence. 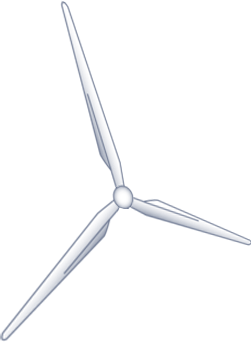 Click here to learn more about wind energy. Guest blog by S. A. Shelley In the previous blog about energy in Canada, I presented evidence that Canada has abundance of energy, ranging from hydrocarbon to existing renewable energy supplies. In essence, Canada has similar potential to Norway and even at a larger scale. Norway, like Canada, has been a prolific producer of oil and gas and continues to be so, but Norway is already in a position to be able to transition fully to renewable energy and has undertaken steps in that direction and to curtail fossil fuel consumption (see Independent.co.uk, and Fortune.com). But where Norway has long term vision and broad social and political consensus, Canada has acrimony, mismanagement and corruption. Guest blog by S. A. Shelley If there is a poster child in the world for energy wealth, it’s Canada. Folks are dumbfounded by what the Europeans are achieving with renewable energy and decarbonizing, folks quake at the vast untapped oil and gas reserves of Russia, and folks are stunned at how technology and finance combined to bring about the prolific U.S. tight oil and gas production which is upheaving world energy markets. Wow, eh? Instead, folks should be looking at Canada, that half frozen land of log drivers, curlers and exporter of Hollywood A-listers, and be awestruck by the energy resources that have somehow fallen under the Dominion of Canada. Guest blog by S. A. Shelley In my previous two blogs I have offered views on oil supply and the (macro) social changes that are resulting in a slowdown of growth in oil demand. In this blog, I’ll look at some of the technological (micro) factors that that will contribute further to a drop in demand. This combination of oversupply and drop in demand will have significant and far-reaching impacts on oil companies, petro-nations, and all the companies and people who are a part of the industry. Guest blog by S. A. Shelley Surf into any news or finance website and one can find almost everyone commenting about oil demand (see Reuters, OilPrice.com). It can be contradictory and confusing at times, especially when variables are changed and data is parsed in a myriad of ways. I will try to clarify things by separately looking at societal changes (this blog) and then technological changes (next blog). But there is one thing that I have to make clear right away: Oil demand is not going to zero any time soon. The end of the oil age is nigh upon us, but not quite yet, though there are foreboding changes in society (this blog) and technology (next blog) that will affect oil demand in the most unpleasant manner for producers. 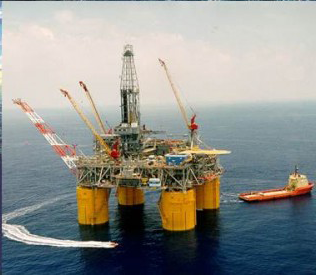 Guest blog by S. A. Shelley Many readers are probably wondering what is happening with oil prices, especially with all the efforts by OPEC+ to curtail supply and all the efforts by various trade groups and governments (e.g., Denmark and China) to affect demand. Every year in January, big companies (BP, EXXON) and big organizations (OPEC, EIA, IEA, OECD) release their energy reports. I don’t have quite the scale or resources that they do, but I try my best. Back in 2016, when I wrote about oil demand peak, I included a chart of a possible oil price path for the next few years (Fig. 1). I was under on the demand and supply a bit, and relied upon the 2016 futures prices to guide my price thinking, but I was damn near bang on with the timing of the most recent collapse of oil prices, Q3 of 2018. Guest blog by S. A. Shelley Californians do not need big and very expensive offshore floating wind farms. In fact, nobody needs big and very expensive offshore floating wind farms. Fixed offshore wind farms started out very expensive, requiring significant government subsidies, but small. They have since matured to allow for big inexpensive offshore wind farms with no government subsidies of any kind. The latest fixed offshore wind farms are producing and supplying electricity to their grids at a cost competitive rate compared to the current supply, and this is a result of technological evolution, improved execution strategies and increasing turbine size (power output). However, floating offshore wind technology is still in the nascent, small and heavily subsidized phase of the technology lifecycle. Yet, for some reason, various consortia are pitching huge floating wind farms right off the bat to California. That’s a big problem and folks in California need to watch that they do not get forced to subsidize those projects. Note from your editor – over two years ago OWOE printed a similarly titled blog The Human Side of the Oil Price Collapse, and shared a story from an expatriate couple living in Angola about the impact on the people of a country where everything is directly or indirectly dependent on oil. This blog by an engineer in Houston brings the situation closer to home and shares how she and her family have coped and even prospered.